I see no mention of your all time favorite Classic Disney animated movie but I know what mine is, Cinderella, what little girl did not dream of growing up and finding her Prince Charming. Love the page of your mother, sorry you lost her so young. Lost mine to Heart Disease at just 53 (only a year older than I am now), much to young, Thanks for the inspiring blog. Beautiful creations Alena. I couldn't find any mention on your blog or Facebook page mentioning your favorite Disney movie. I like so many that I would have trouble selecting just one. I would have to say 100 Dalmations. I grew up with Dalmations. My dad loved them and we had several over the years. I'm going to guess Lady and the Tramp. That would be one of my favorites. I haven't seen a lot of the newer movies. Love your creations! I don't see where you may have posted your all time Disney character but I am going to guess with my fav...Cheshire Cat or Thumper! I enjoyed this over and over throughout the years. Nice cards. I have now idea, but mine is Cinderella. 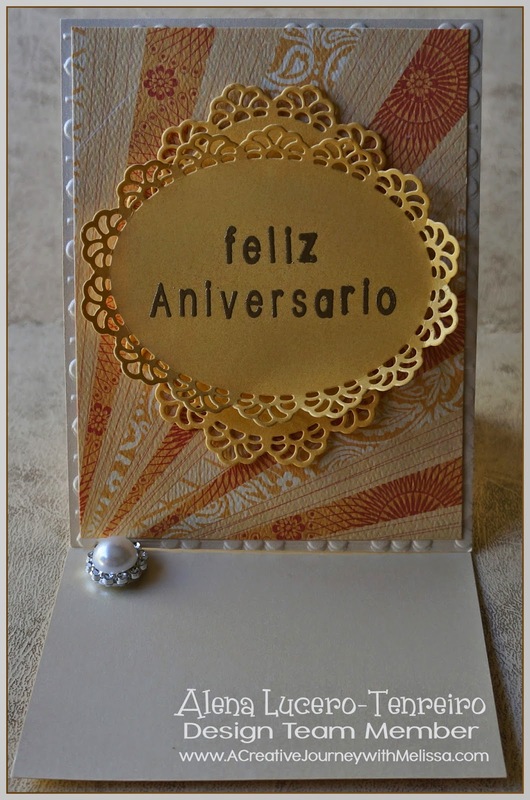 Beautiful layout and birthday card. I think your all time favorite classic Disney animated move is Lady and the Tramp. Alena, beautiful and touching layout. She is looking down very pleased. Your birthday card is very nice as well. I love how you used dimension in your die cut bending the sides inward. I think your favorite Disney character is Belle. Alena, those are Beautiful!!!! 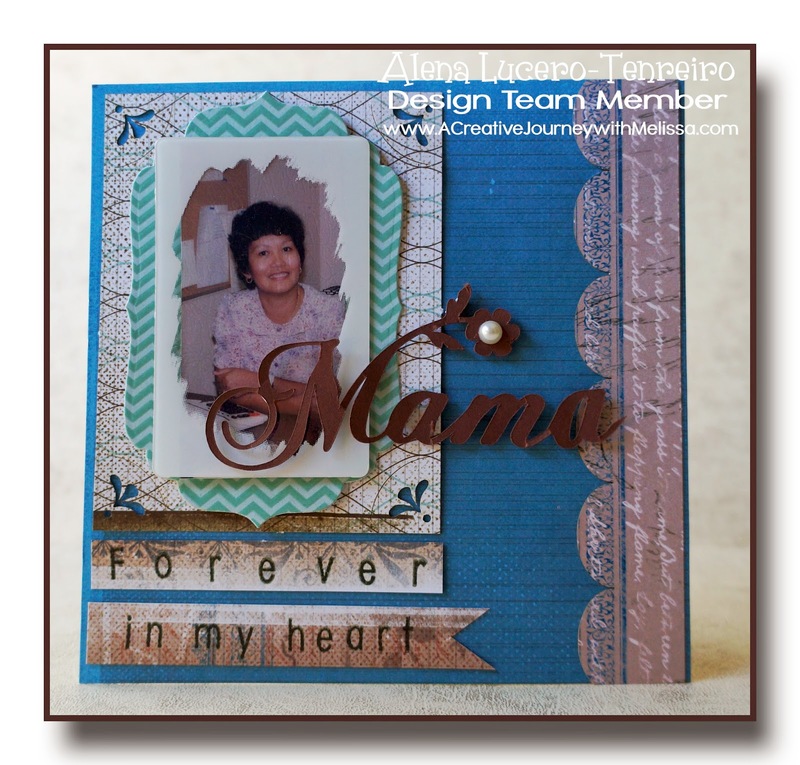 I love, love your scrapbooked page! What a beautiful tribute to your Mom! You really used the Alphabet set well and it's beauty. I love your card too! Who would have thought to bend the diecut lace edges out? Such Great ideas! !